Through the Lens I am healing day by day ~ long haul. 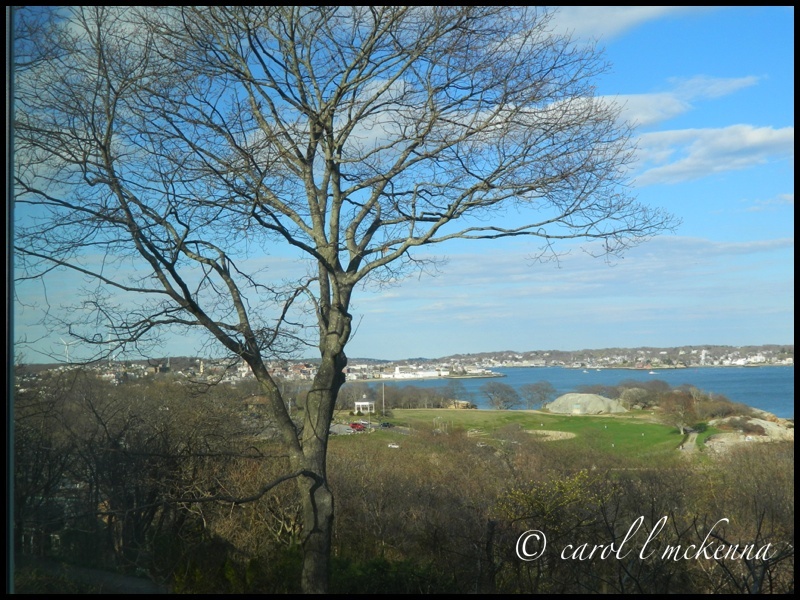 View of Cape Ann Ma with a tree outside my window that it even beautiful with no leaves linked with Straight Out of the Camera Sunday. 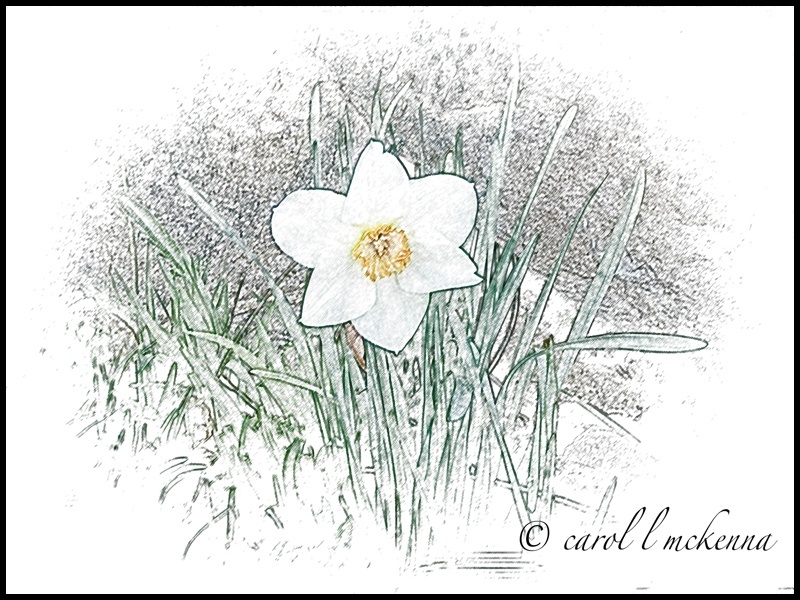 My first digital art sketch from one of my own photos for Sunday Sketches link. 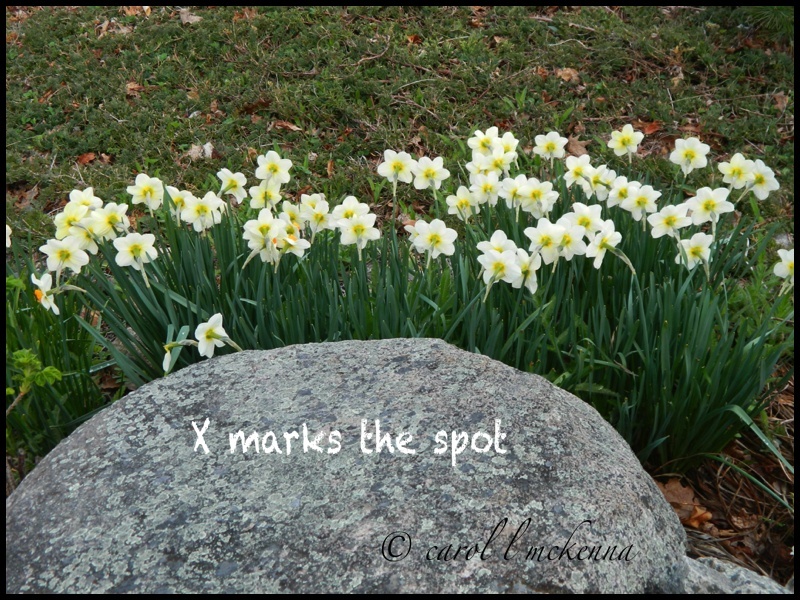 Haiku for Haiku My Heart link and Haiku Friday link. 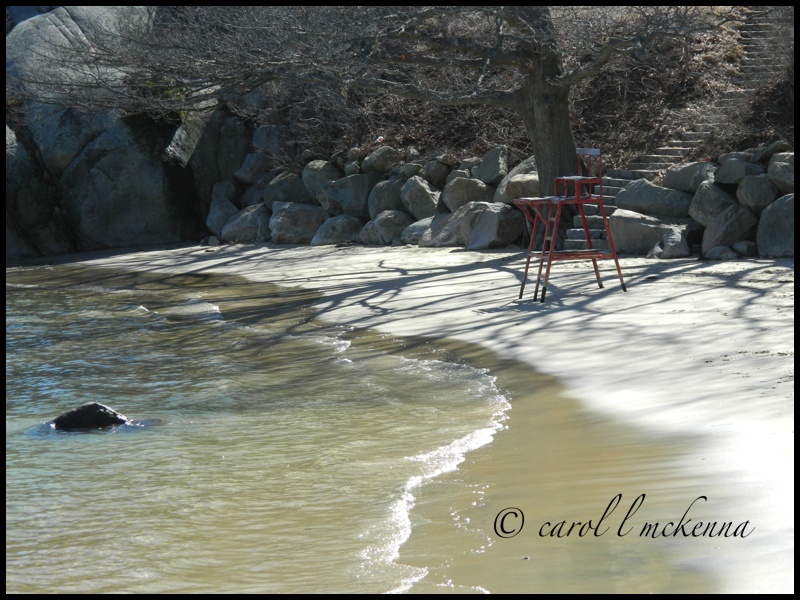 Not many sunny days on Cape Ann MA of late ~ Maybe more in May? Little Blue Blooms smiling out at us on Cape Ann MA linked with Little Things. Your posted comments are gems to us ~ Thanks! Beautiful shot of the tide on the sand. I always like your views of the sea but this one is especially beautiful. Gorgeous shot! Keep on getting well. Beautiful! I wish I were there. Oh, yes, a gorgeous shot it is indeed! Wonderful view of the sea!! So glad to hear that you're getting/feeling better!! Very beautiful. I love the last shot, it has a beautiful feeling about it. Lovely shot of the beach! It is waiting for the crowds of beach lovers this summer.. Have a happy week! summer will pay you back all the sunny days you were owed with interest :) hope you enjoy the beach days soon. your first image seems welcoming to me, and the flower shots are exquisite! may your healing continue. nice work Carol-I especially love the first two shots. Be well my friend! The setting in your first photo is stupendous. Wish I was there! Love those white flowers behind the rock. Those Blue Blooms look lovely. Love the sky shot and the black and white tulips. Continue to feel better! Love the flowers. Showing signs of spring. We have a lot of wild turkeys running around right now too. Not many warm days here, or blooms in our yard, but I did see some (flowers) around town. The ones you have here are pretty. I do hope you continue to feel better. This is a beautiful collection of photographs. The tulips are so pretty....simple and welcoming. Lovely! Yes. MORE SUN IN MAY please!! Sky shot is so pretty! And I'm becoming a true fan of petals in black and white - yours are so pretty! Beautiful b&w photo of the flowers in your serie! Beautiful b & w tulips. Love the little blue flowers. They really brighten things up in the spring. Amazing blooms I wish we had some! Soon hopefully! You sure live in a very scenic place! I always enjoy your photos. My son suggested I do X marks the spot for Alphabe-Thursday. He was surprised when I told him someone else thought of the same thing. I told him great minds think alike. The Letter X is a difficult assignment. The blue blooms are gorgeous! Take care and have a happy weekend..
And Happy Day and Weekend! These are so nice! I especially like the chair by the water's edge image. I'm glad you are feeling a bit better and thank you for joining in with LTT today! It's so nice to see flowers this time of year! Nice pictures for all themes ! I love the soft blues in the sky shots, have a great weekend. 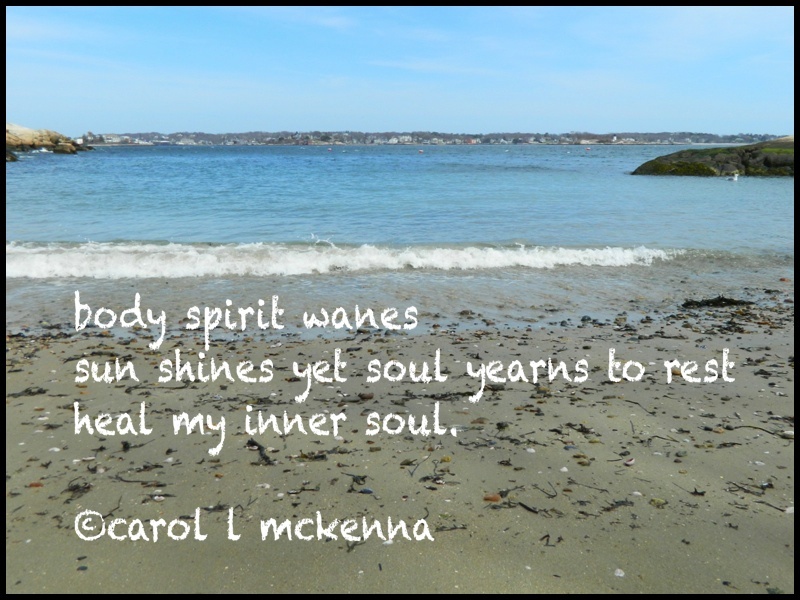 Lovely series of images Carol… and your haiku touched my heart deeply. ...and beautiful photos for SWF, too! Skies above the sea seem to be the most soothing of all--except, of course, when they are laden with storm clouds! Beautiful pictures, I especially love the first one. 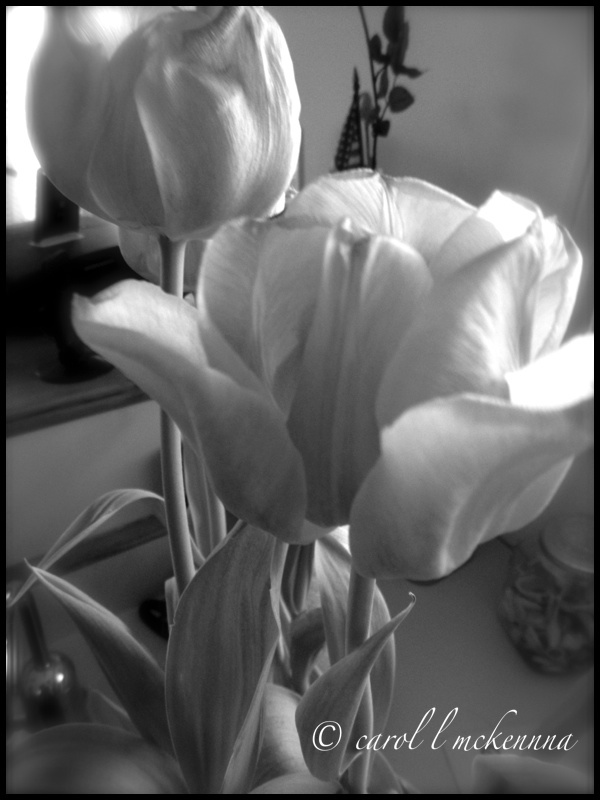 I really like the monochromatic shot of the tulips. You captured the delicateness of the petals, Lovely! What a lovely place! I LOVE Massachusetts -- especially the ocean. This is a great spring collection! Beautiful views of the sky and lovely flowers. lovely photos and poetry! The renewing of the earth does feel like healing. A really beautiful sky in that first shot!! Beautiful views all around you! Happy to hear you are on the mend. Deep words. Great pictures. My fave is the fifth. A wonderful view on Cape Ann and such lovely flowers! 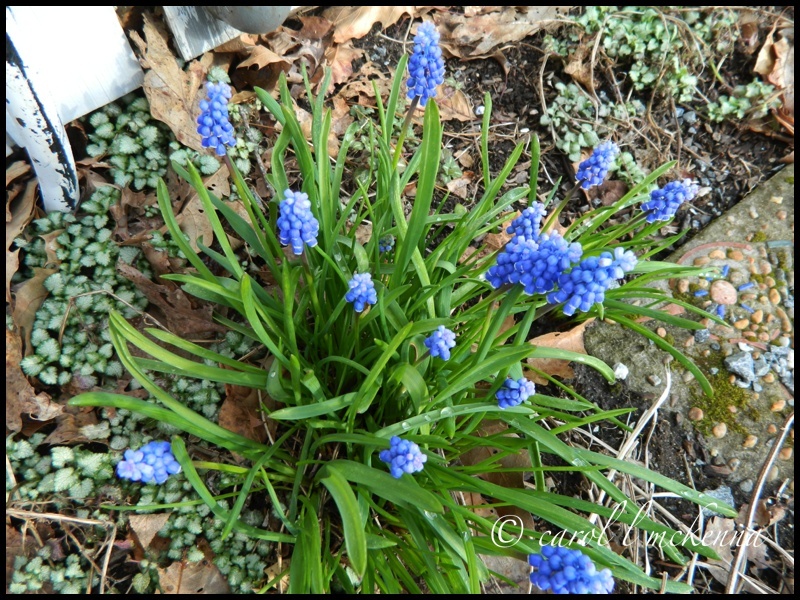 Love the blue skies and grape hyacinth!! Beautiful! Love those daffodils! Have a great week! All outer healing fades ultimately; only the inner healing remains. thank you for your generous offering of love and beauty. may your weekend be filled with both. Indeed, the skies changed a lot this week all across the USA. Love your shots of sky and water. Through the lens, we are connected. Love the post – great images especially of all those blooms! Always a pleasure to visit here. Beautiful flowers and such a beautiful day. 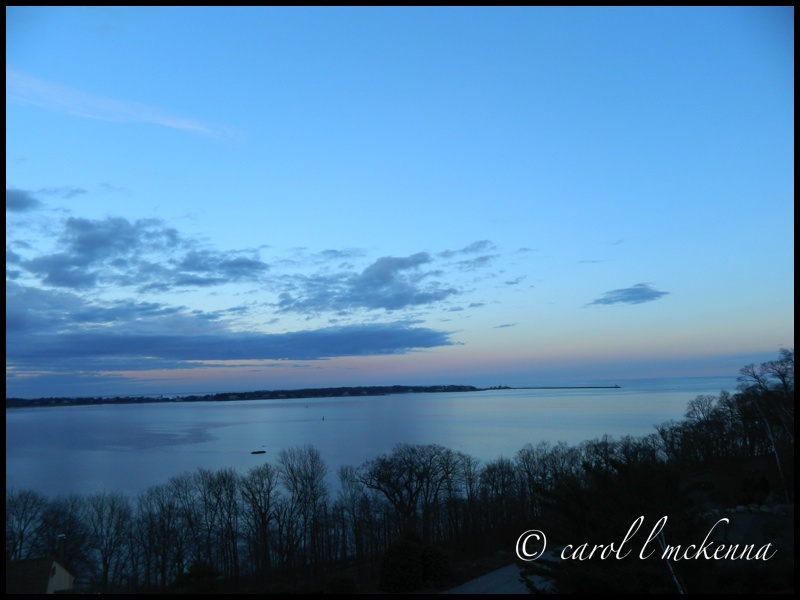 Deeply felt haiku and lovely photos! I love all your photos, but especially the flowers are my favorites. I hope you get a beautiful May. 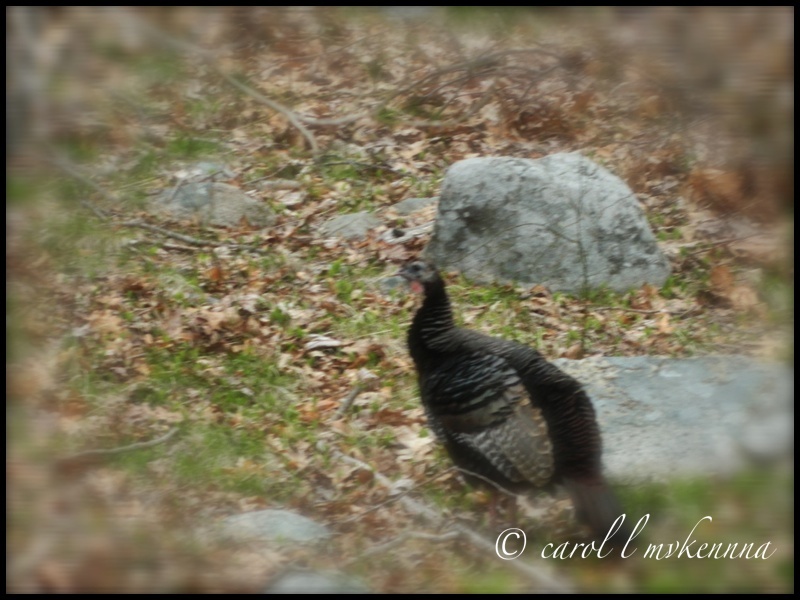 Carol, just stopping back to say thanks for linking up your post with my critter party.. Have a happy weekend! A lovely post Carol. It's looking very spring like in Cape Ann. Beautiful shore photos. A lovely series Carol, pretty photos, pretty words. I think I missed that you weren't feeling well but do hope you are fast on the road to recovery. Will keep you in my thoughts. Lovely series of peaceful shots. I love your beautiful shots and inspirational Haiku. The digital sketch is gorgeous too. Peace, my friend! your photos are beautiful Carol! I really like your painting too! Wonderful shots! You have one of those beautiful artistic hearts! I hope your week will be great! what a wonderful group of images. i loved your sketch, it must be fun to do that with your own image!! i did not know you were/are sick, i hope you feel better soon!! Love the healing haiku. The photos are terrific, as always.